Party season is officially here and I am here to share some outfit ideas for the season! 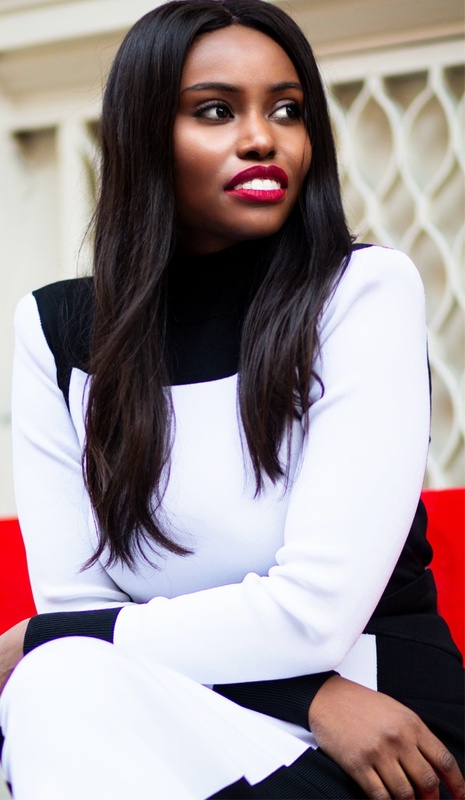 When I think of a black and white outfit paired with a red lip, I instantly think GLAM. This effortless combination is literally fail proof, and you can recreate this look with pieces that are already in your closet. I absolutely love this matching separate set from the H&M X Balmain collection. I mentioned how much I love them together because it looks like a dress but I also love them as separates especially the top. I paired the look with a classic black pump and the little leather pouch from the collection. I know you probably won't find this exact same dress but I did some shopping for you guys and found a very similar dress here. Hope you are having a lovely day. Thank you so much for stopping by. See you very soon in the next holiday post.